We’d like to extend a big thanks to the volunteer organizers of Barkitecture as well as this year’s sponsor Austin Craft Realty for putting on a great event. On Sunday, twenty-six doghouses designed by different Austin firms were sold to raise money for Bastrop Animal Rescue, Emancipet, and PALS Meals on Wheels Central Texas. If you missed the event and would still like to support these fantastic organizations, no worries! Donations can be made at any time. 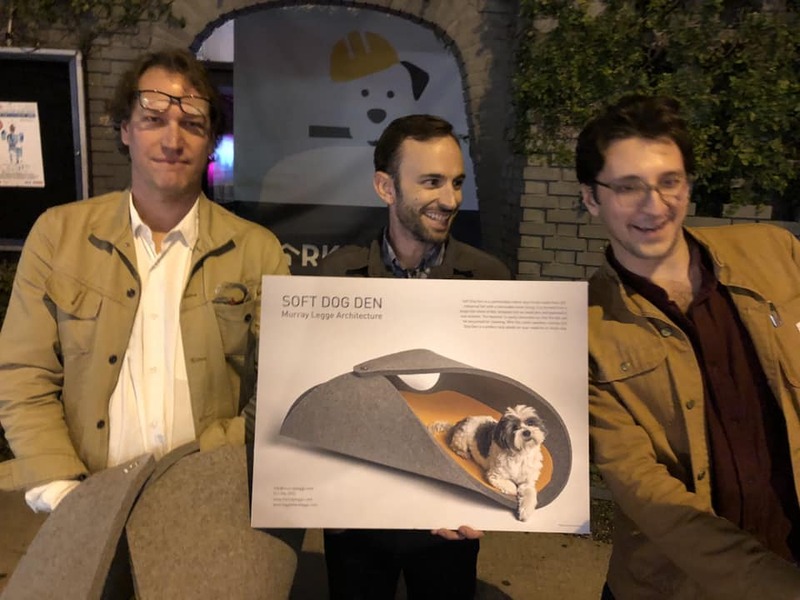 Our Soft Dog Den was auctioned by Brendan Ross of Austin Craft Realty, who did a fantastic job of keeping bidders motivated and excited. Thanks to everyone involved for all the hard work and dedication it takes to pull this off year after year! 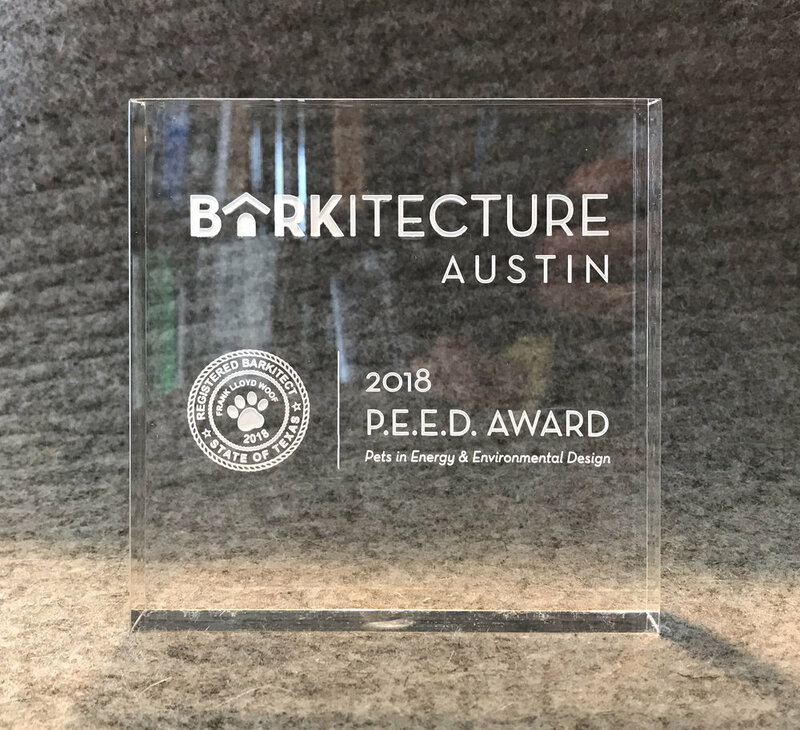 The jury gave Soft Dog Den the “Pets in Energy & Environmental Design” award for its use of sustainable materials and efficient assembly. 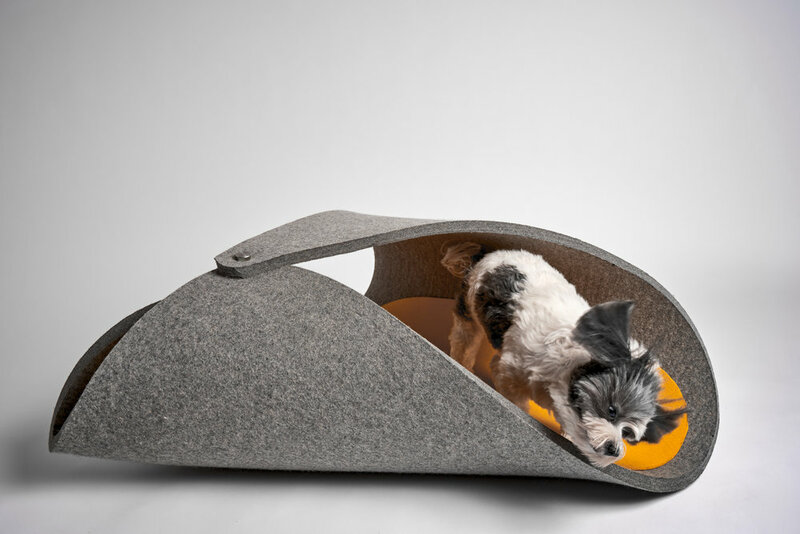 Soft Dog Den is constructed from a layer of 3/4” industrial felt, a natural, renewable material folded and fastened to itself with a single stainless steel thumb screw. The inner liner, made from thinner felt, can be removed for cleaning or swapped out for different colors.